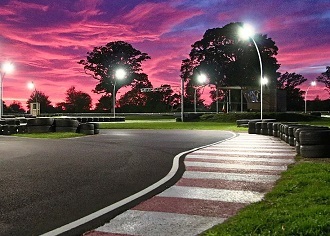 The very popular Matchams Karting is now relocating closer to Bournemouth and re-branding itself as South Coast Karting. The new venue (opeining April/May 2017) will feature an exciting track layout but retain the successful Grand Prix, Sprint and team Endurance Races that have made the organisation such a success. Being so close to the south coast means that its potential for use by stag/hen parties is even greater because of its proximity to Bournemouth and if you're simply in the area it will be worth dropping by for some high-speed fun. An adult-only event: practice followed by three qualifying heats and a grand final. A great place to spend your last hours of freedom! A wide range of karting options available for various size groups. Quad biking and clay pigeon shooting is available at local venues. Conact us for more information.